Trade show bags, banners, trinkets & trash, giveaways & more! MacKellar Associates is Warren's leading source for promotional marketing products and branded apparel. With almost a century of service, MacKellar Associates' long track-record and expertise with a wide range of promotional products, branded merchandise, and custom marketing solutions makes us the premier source for all of your company's promotional product needs. MacKellar Associates prides itself on providing our clients with high-quality, technologically-advanced custom promotional marketing products. As a family-owned company for the past four generations, we believe in putting the customer first and are dedicated to ensuring first-rate accuracy on each and every order that leaves our warehouse. With almost 100 years of experience, MacKellar Associates is your leading source for branded merchandise, corporate apparel, and all of your company promotional product needs. We pride ourselves on our creativity and our ability to problem solve to meet any client demands. As Michigan's premier source for business promotional apparel and products, MacKellar Associates is dedicated to putting customer service first and meeting all of our clients' promotional marketing needs. Whether you are looking to order a line of embroidered apparel or uniforms to create a sense of cohesiveness among your staff or you need business promotional gifts such as USBs or bags to use as giveaways at a trade show, our promotional marketing team is ready and able to assist you in designing the ideal range of promotional products and branded apparel to meet your specific needs. 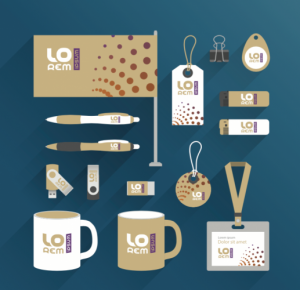 Well-designed promotional products can leave a long-lasting impact and create positive impressions with customers. Studies have shown that branded promotional products can convert more than four-fifths of potential customers into actual clients. MacKellar Associates understands what is required to create a memorable product that achieves your business' marketing objectives. We can work with you come up with the perfect design ideas for a wide range of promotional products, golf outing giveaways and tradeshow items; our team has created everything from branded journals, padfolios, pens and lanyards to home and travel items like flashlights, lip balm, Bluetooth speakers and Koozies. 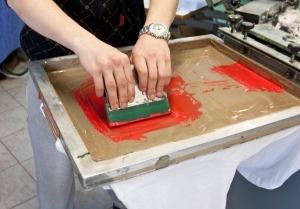 MacKellar Associates maintains skilled in-house screen printing and embroidery teams for your t-shirt and other apparel needs. We can add your logo to just about any promotional item! Our promotional product team is capable of meeting every need; from banners and signage for your trade show to custom awards to recognize a special employee, our skilled professionals will work with you to craft an entire array of items that are perfectly integrated into your overall marketing strategy and brand identity. In order to make your experience ordering from us easy and straightforward, MacKellar Associates has created a number of programs designed to meet your company's specific needs. Through our custom uniform program, we are pleased to offer a range of high-quality and stylish uniforms to match the job requirements of each of your employees. Our program is truly customizable, allowing us to create a set of solutions personalized to your business and ideal for your professional needs. Similarly, MacKellar Associates' branded merchandise programs allow us to create a line of marketing apparel and products designed to help your firm create a clear, cohesive and attractive corporate identity. 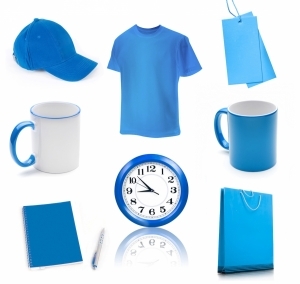 By utilizing our line of branded merchandise, your company will be able to forge a clear and recognizable brand for your customers and employees alike, boosting your team's pride and morale as well as establishing your reputation with your clients. Thanks to our decades of experience, our branded merchandise team can work with you to create the perfect solution to meet your needs. Of course, we recognize that many of our clients have unique and individualized needs. We pride ourselves on our creativity and our ability to problem solve to meet any client demands. Whatever your requirements, our custom project team will work with you to craft a solution that exceeds your expectations. We have experience handling a wide range of event and promotional signage requests, from trade show signage, event displays and point-of purchase signs to larger scale graphic signs such as billboards, wall murals and event stage backdrops. For our trade show customers, our custom project team has designed custom event flooring, backlit displays and floor graphics with display stands. Looking to creative a memorable and unique set of marketing products? MacKellar Associates has produced vehicle wraps, fleet graphics and window graphics for eye-catching and attention-grabbing marketing solutions. "Great experience working with MacKellar Associates!! This was my second year having a 600 + T-Shirts order printed for a 5K race through MacKellar. MacKellar came in with the most competitive pricing. 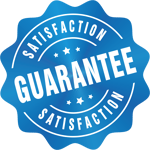 My sales contact Valerie had quick responses and was very pleasant and easy to work with. The T-Shirts were ready 1 day before my initial requested due date and the shirts look great!! I highly recommend MacKellar!! They are awesome to work with!" Michelle D.
Call MacKellar Associates at (248) 929-0560 or fill out our online form to get a great price on your promotional marketing product needs! Contact us for special prices on promotional products. The contents of this webpage are Copyright © 2019 MacKellar Associates. All Rights Reserved.